For me, few things are as delicious, relaxing, and satisfying as a set of afternoon tea. 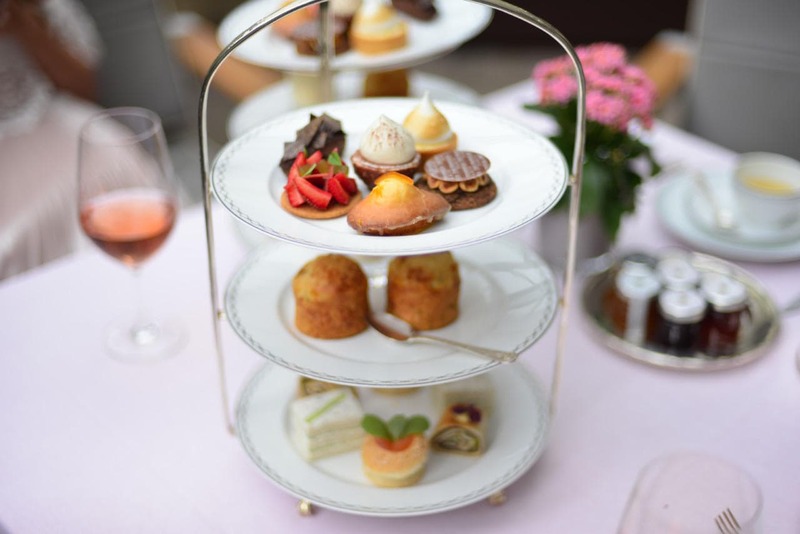 Did you know that the term “afternoon tea” was coined by a duchess of England in 1800’s? 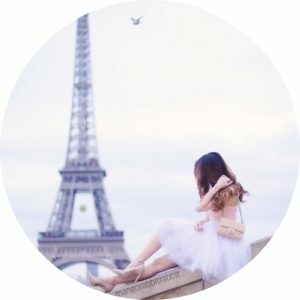 It is the perfect meal between lunch and dinner, and afternoon tea with the right people at the right place while watching life hustle around you can be the one of the most luxurious feeling ever. 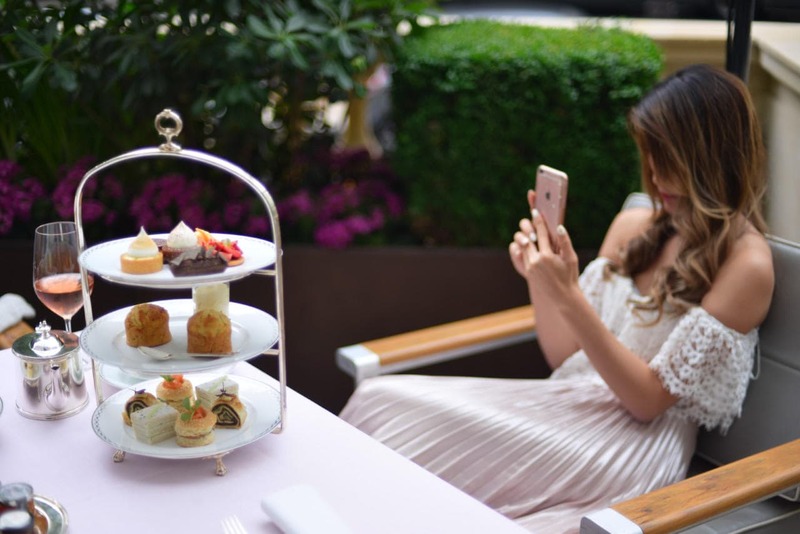 I had the opportunity to try the afternoon tea at Le Lobby in The Peninsula Paris, and it was scrumptious! 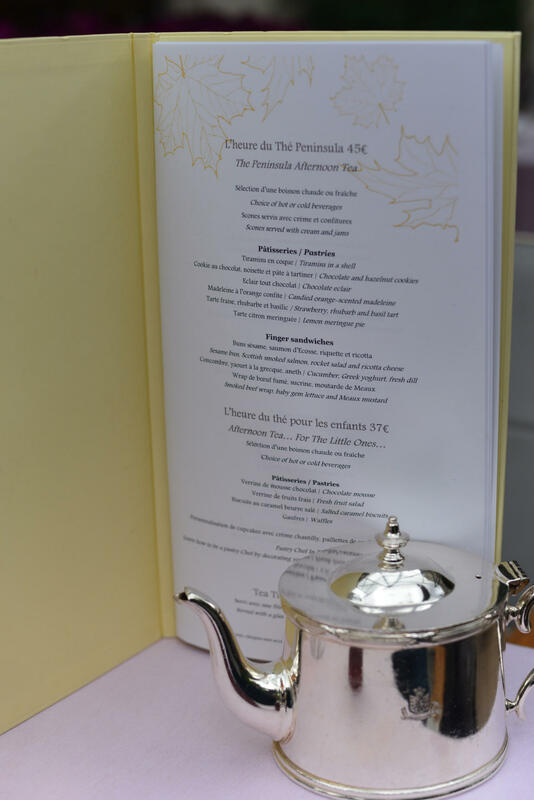 The set afternoon tea menu at Le Lobby, The Peninsula Paris. Isn’t it super cute that they have afternoon tea menus for kids?! 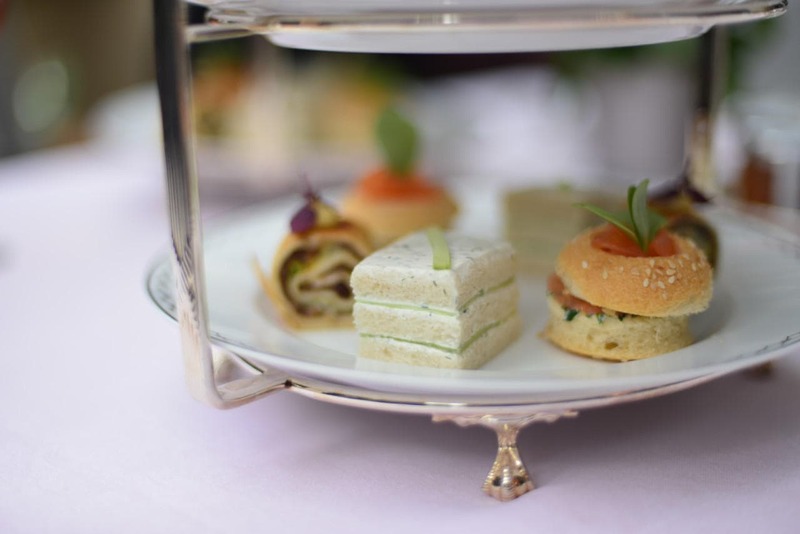 The afternoon tea set was presented in the most visually appealing way, when it first arrived I was so excited I didn’t know which treat to try first! 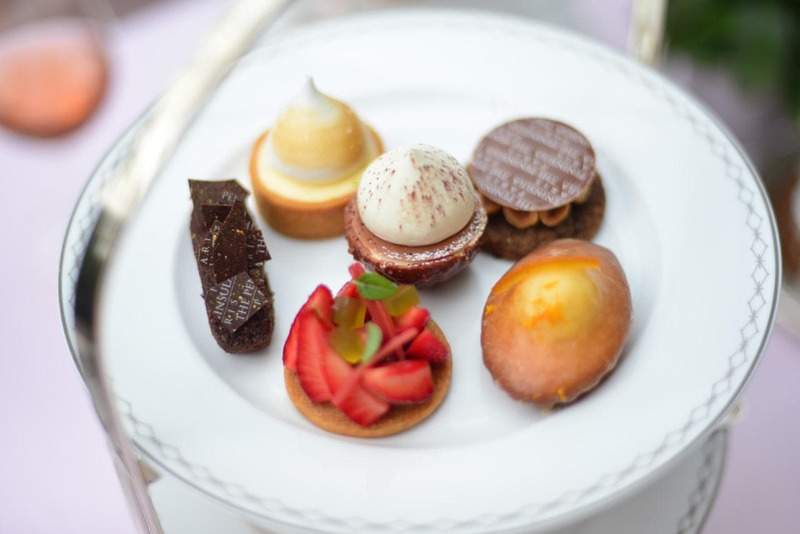 The bottom tier included the yummiest finger sandwiches and savoury delights, the middle tier 2 mouth watering scones, and the top filled with award winning pastries that are bound to delight your taste buds. 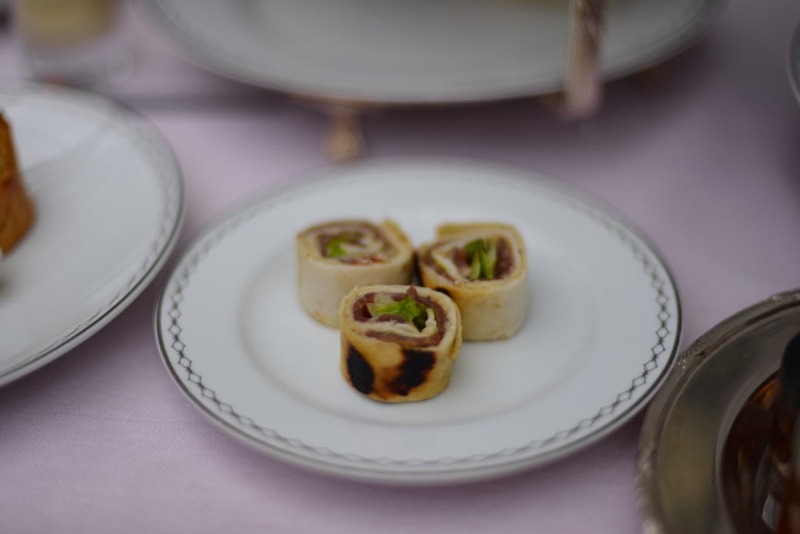 In the bottom tier, one of my favorites is the smoked beef wrap (left). It reminds me of a mix between Chinese fried dough fritters and mustard beef roll, and it’s absolutely DE-LI-CIOUS! I made a remark to one of the servers and they were so happy to know that we enjoyed it so much, they came back 5 minutes later with 3 extra wraps for us! I was shocked at the service and at the reality that I had the luck to enjoy 4 of these yums! The top tier contains some of the most tasty pastries I have ever tasted in my life. I am an avid lover of anything hazelnut-related, so imagine my happiness when I tried those cookies. A few weeks later and I can still taste it in my mouth! 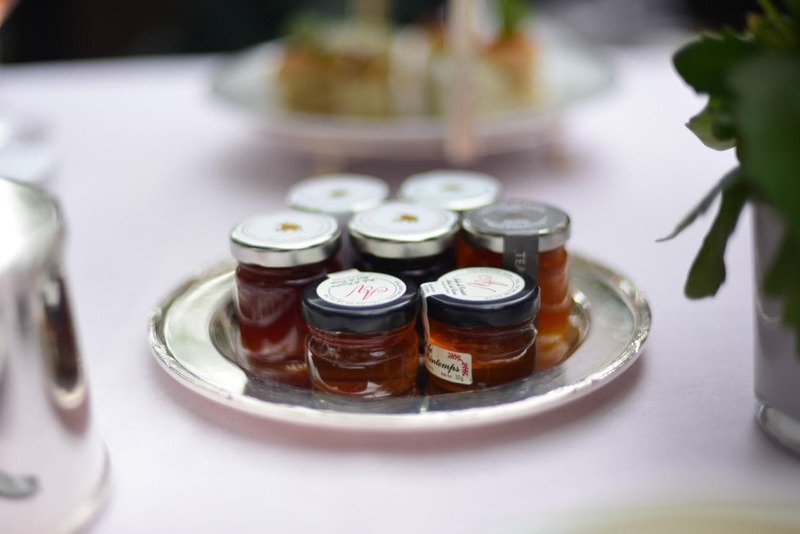 Le Lobby also provides the most delicious jams and cream to go with scones and pastries. I find that the scones themselves were delicious enough on their own, but if you’re a lover of jam this would be your heaven. 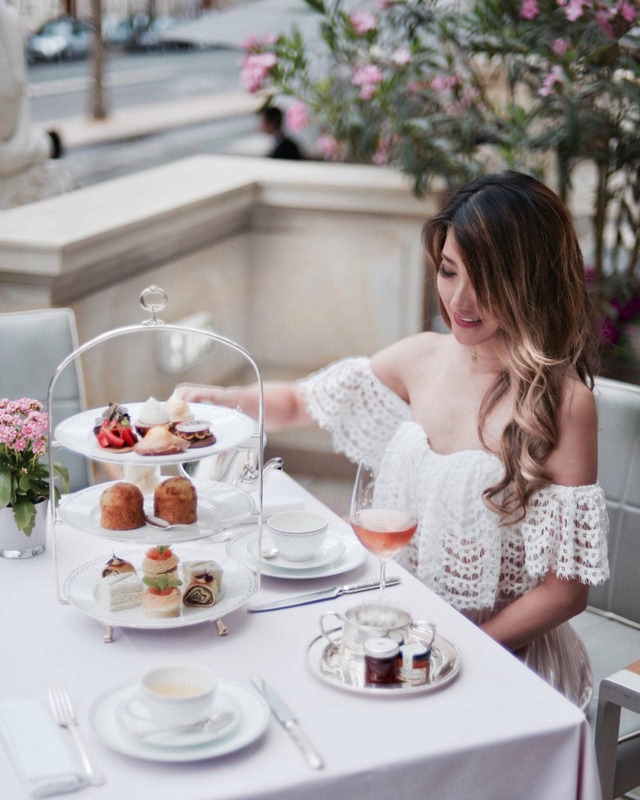 If you’re looking for quality, luxurious afternoon tea in Paris, Le Lobby at The Peninsula Paris is definitely the spot to be. Go with your lover, your girlfriends, boyfriends, and kids to enjoy the scrumptious delights. Le Lobby offers both indoor and patio seating, and their decor will blow your minds away. 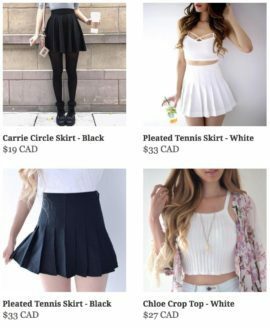 Perfect for photo taking! What are your favorite treats – sweet and savoury? Let me know!